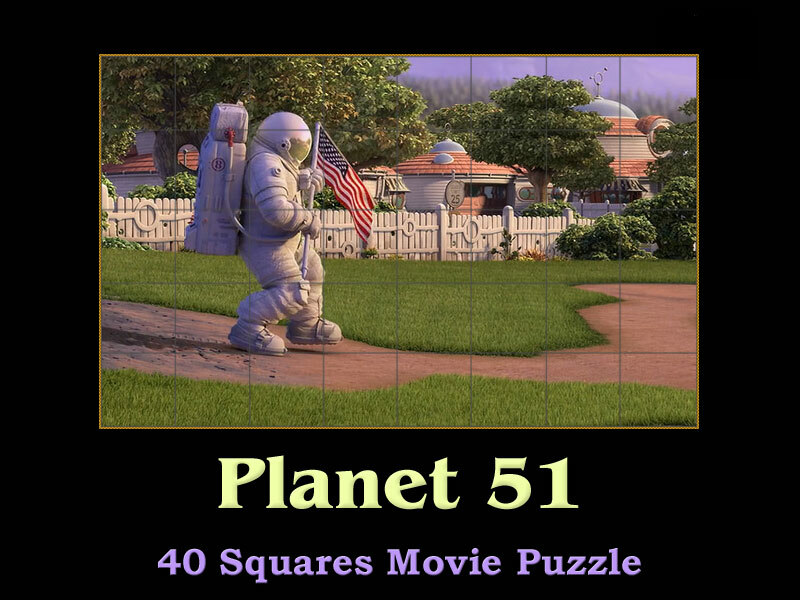 Fun movie puzzle of Planet 51 movie. Planet 51 movie is extremely amazing and funny. First, there are a lot of fun situations and references to other movies. Second, there is no drama, beside a little friendship issues, which is just in the sweet zone. And third, the concept of the movie: a human astronaut reach a planet, that should not be fre of life(the reason they thing it is uninhabited is also quite fun). But there are some aliends, which think that the human is an alien(logically), and they thing the human is coming to invade them. It is a must watch movie. 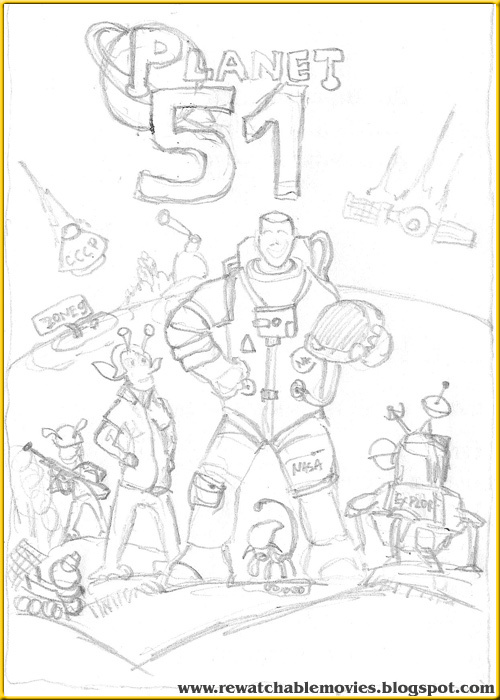 Artistic sketch poster about Planet 51 movie.